Quintessentially Aviation is a fast growing bespoke aviation service with the resources to provide the very best in luxury travel to both corporate and private flyers. With some Moguls leaving the country in a hurry this week, Quintessentially Aviation would like to suggest how the stress can be taken out of a hectic situation. As the ultimate resource for the discerning private jet traveller, Quintessentially Aviation looks after everything from private jet and aircraft charters to the organisation of in-flight luxuries. Quintessentially Aviation’s Charter Operations Team is on hand at all times; putting clients first and gaining access to any private jets available on the commercial market. Finding the best aircraft to suit trip requirements (speed in some cases), whilst carrying out in-house checks on all aircraft, management companies and crew is the number one priority. Upgrade the experience by making the ultimate escape in the comfort and style offered by a chauffeur driven car. Anyone who has suffered a horrendous day at the office will surely appreciate the extra levels of comfort offered by the fleet available. Sit back, hunker down and avoid any unwanted attention as Quintessentially Aviation organise the best in luxury transport. Quintessentially Aviation’s in-flight services cater for even the most demanding client. Imagine walking off your Jet revived and raring to go, having sampled your favourite cuisine – whether it’s that special bottle of champagne or the pastrami sandwich from that famous deli. 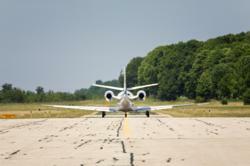 With Quintessentially Aviation, anything desired will be waiting on a private jet ready to enjoy. Quintessentially’s concierge service can also arrange access after touch down. As part of the Quintessentially Group, the service offers the ability to book anything the client desires. A table at the best restaurant in town, a luxurious stay in the most opulent penthouse in the city, or attending the most important event of the year? Quintessentially Aviation is positioned to provide the key to any destination. From a favourite bottle of champagne to pastrami sandwiches from a famous deli, anything desired will be waiting on a private jet ready to enjoy. With one call Quintessentially can cater to clients’ taste buds from anywhere in the world. while having the opportunity to relax in the VIP area. 7. Evade the press with a private retreat – only accessible by Private Jet. Fancy some peace and quiet? Quintessentially Aviation has access to Luxury Villas & residences around the world. Some can only be accessed by private aircraft - making them ideal for escaping the rat race. For information on the above, please contact us at info(at)QuintessentiallyAviation(dot)com or call on +44 (0)845 269 6586 .